Q:So it's only one glass? The picture is just showing you what each option, bride squad or bachelorette, look like? Q:Can I get "Bride Squad" in a different color other than pink? Gold? A:Unfortunately bride squad only comes in pink at this time. What better way to sip on your favorite cocktails then with these pretty bachelorette stemless champagne glasses? 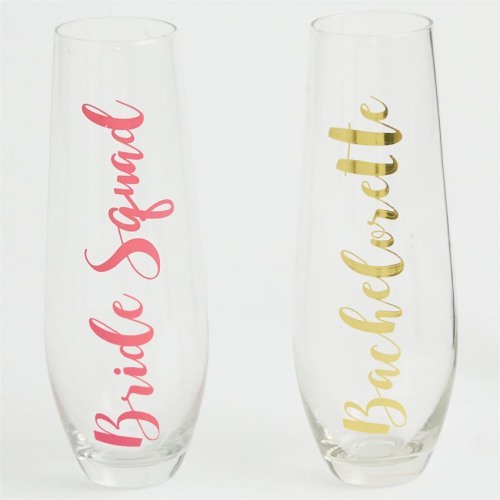 Adorned with the prettiest of script, these glasses are great for using at your bachelorette party, bridal shower, and for years to come too. Also makes a great gift.